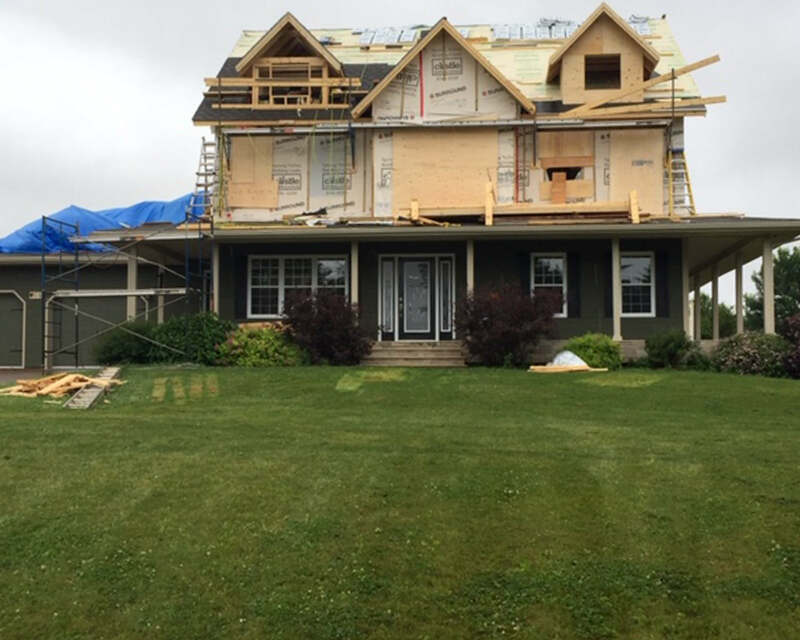 Canadian contractors are coming off a busy year in the home renovation and remodeling market, and it’s expected to con- tinue into 2019. 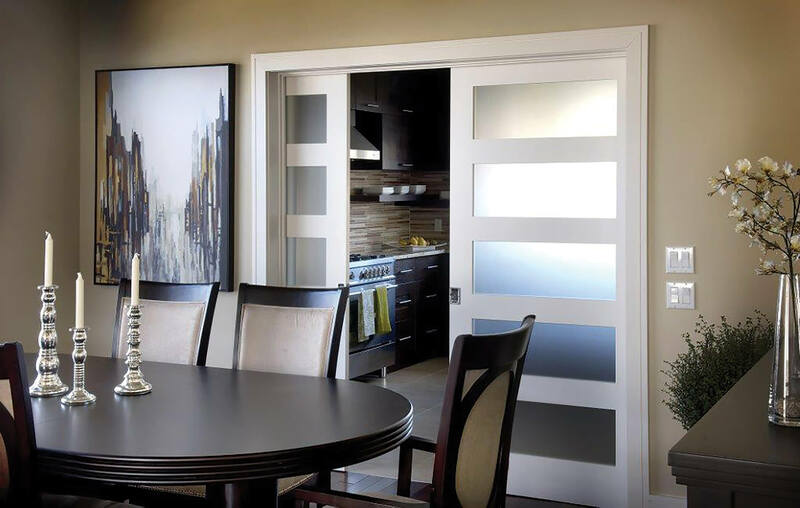 Castle members and designers across the country are optimistic about home renovation opportunities this year and are predicting continued strength in a few areas that saw popularity in 2018. 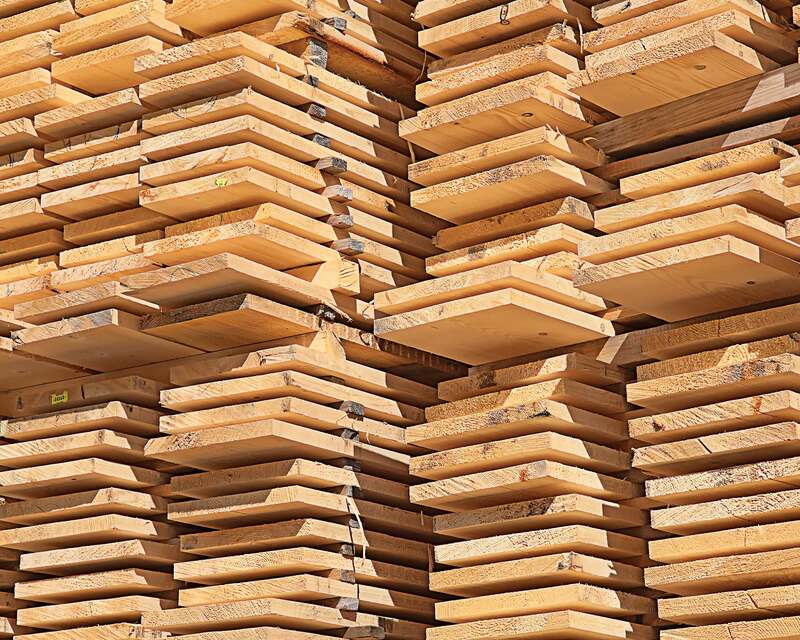 “Over the last two years we’ve seen, and I think we’re going to continue to see more renovation growth than in new home building,” says Rachelle Scanlan, Design Specialist and Manager at Sudbury, Ont.-based Pinehill Lumber. Mike James, President of Spring Valley and O’Leary Build- ing Centres in P.E.I. says he’s seen a strong renovation market in his region this year, adding that it has been major renovations. the next few, due to the combination of housing, retiring and financial roadblocks limiting new home purchases. The number one renovation, he says, remains the kitchen. In Quebec specifically, he attributes this to people being “crazy about cooking” and the strong return on investment. 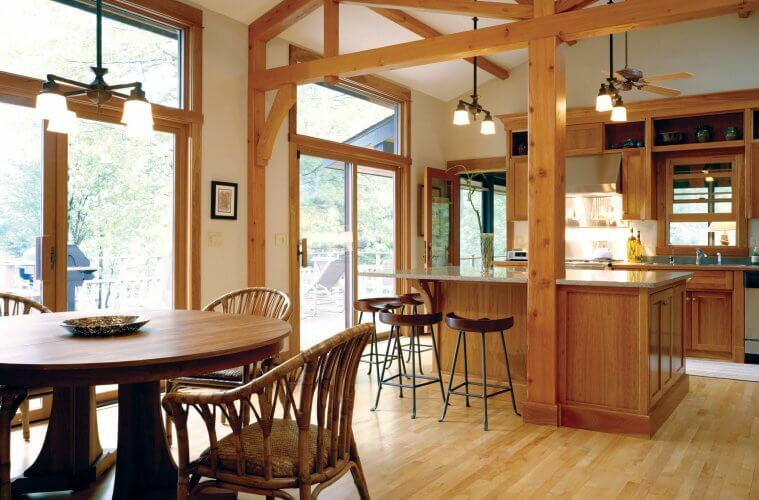 These are no small renovations, however, as homeowners are looking for open concept, which can create engineering challenges or even new flooring to match rooms when walls come down. “It’s becoming a challenge on the architectural side now, and a much bigger project,” Bélair says. 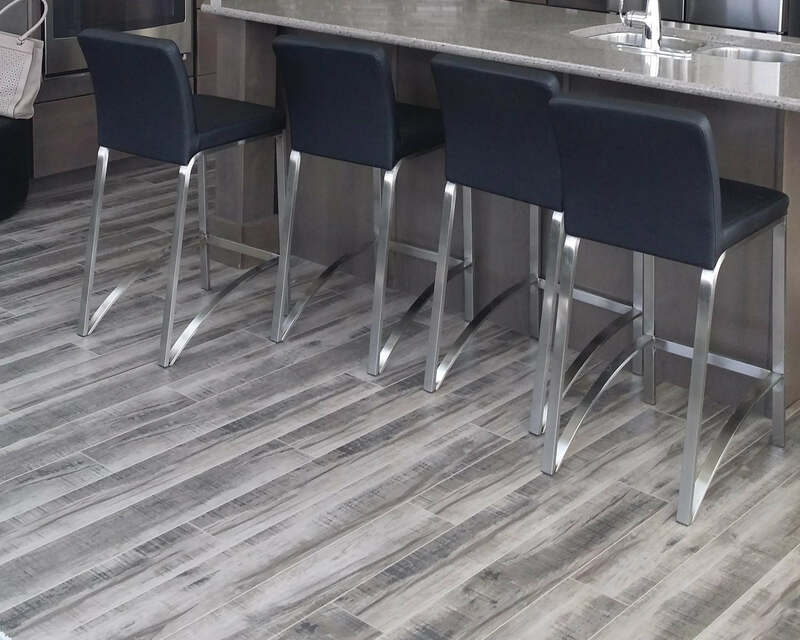 Vinyl flooring has been on the increase in the central Alberta region served by Wolf Creek Building Supplies, according to General Manager Rob deRegt. 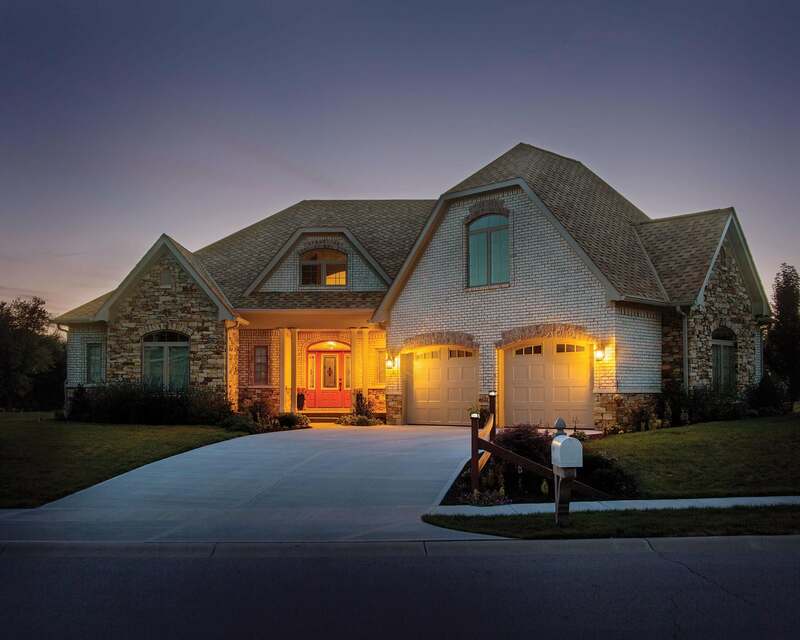 Homeowners are turning to it for comfort and other factors. “Price, the install ease and war- ranty all played a factor,” he says. 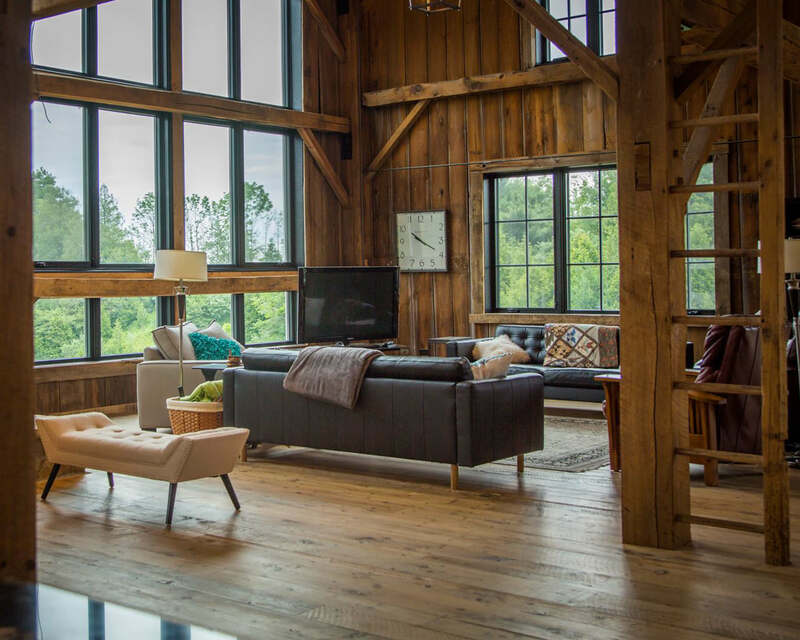 “We definitely saw a move away from laminate and hardwood and towards vinyl plank- ing.” He says, while hard to predict, Wolf Creek expects that trend to continue in 2019. The market for outdoor living continues to be “huge” deRegt notes, whether it’s furniture, fencing or decking. 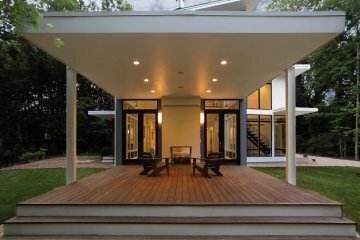 He says it’s a trend tied to home renovation since, “They can’t build the (new) home they want to build, so they say ‘why not make the house we’re living in more comfortable and add to the resale value.’” To that end, composite decking took great strides in 2018 and will be even bigger in 2019, he predicts. In kitchens, clean contemporary style and white continued to be popular in 2018, and designers expect that to continue into the new year. Adding textures, such as stone or wood features was on the rise, as was the industrial look in areas throughout the house, such as stainless-steel railings. One notable trend flip in 2018 was around kitchen counters, Scanlan says. Where in years past they would be primarily 70% laminate and 30% granite. She says those numbers have started to reverse, with granite making up the bulk. 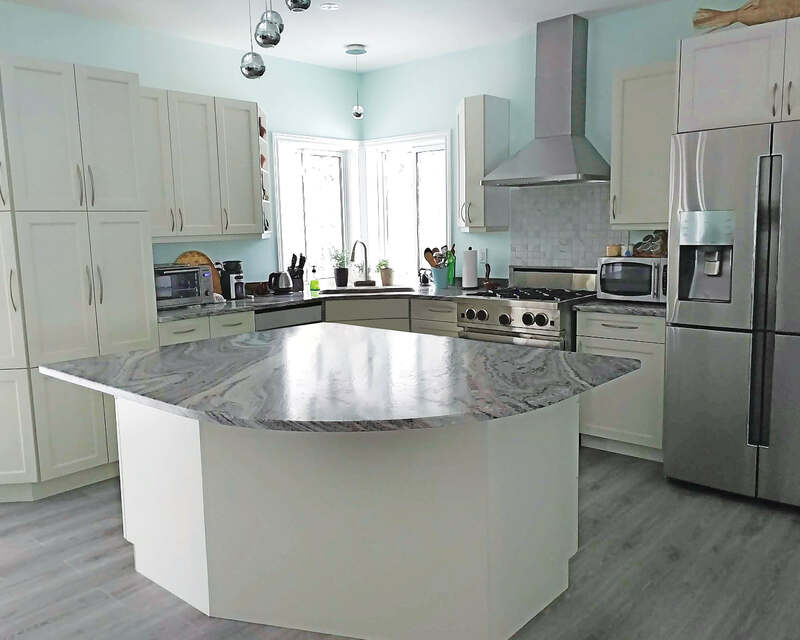 In flooring, colours are swinging back towards more pale options, says Robert Boyer of Matériaux Robert Boyer in Sainte-Anne-des-Lacs, Que. whose “baby sister” store special- izes in premium flooring not easily found in big-box outlets. On the uptick are also stair runners and risers that either match or contrast the hardwood flooring or are carefully painted to do so. 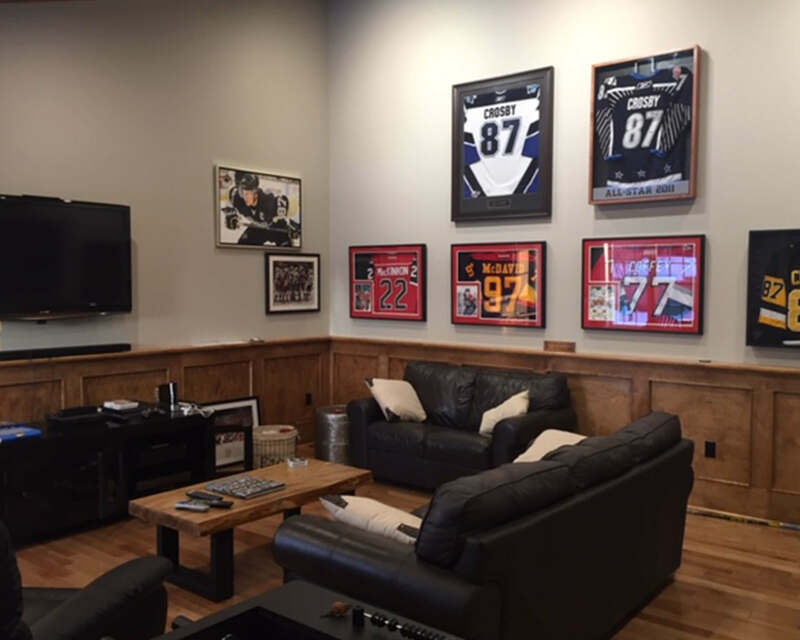 For this, he notes that contractors have been turning to his store to avoid headaches and potential mistakes. Partially fueled by government rebates and initiates, green up- grades continued to be a big focus for householders in 2018. In fact, the rebate was so popular it created a bit of a paperwork challenge. How much that trend will continue in Ontario after the provincial government cancelled the program last fall remains to be seen. Still, VanDolder says homeowners continue to become more environmentally conscious and aware of the efficiency benefits of eco-friendly and low-energy products. With the elimination of the GreenOn program, he expects attention to shift from windows to exterior doors in 2019. New energy efficient windows were the biggest trend in the central Alberta region served by Wolf Creek Building Sup- plies, according to general manager Rob deRegt. He says he expects the trend to continue this year. Those from earlier generations, she suggests, are more likely to pick and choose their renovation battles; living with their less-than-favourite flooring, if it means a more pragmatic upgrade to their kitchen. The younger generation of homeowners can be harder to build trust with. For this Scanlan has age-old communications advice: listen more; talk less.